Life as a consultant is for sure rewarding – both professionally and financially. You are at a place most envy. Yet it is challenging, to say the least. There are few spots up the pyramid that everyone is competing for. The ‘up-or-out’ policy doesn’t make life easy either! You are obviously incredibly smart to have made it to this job but what can you do now, to increase your chances of success? How can you outshine your cohort? My experience as a Management Consultant with BCG taught me that there is one nifty little trick you could use, that is often ignored. Learn a language – make yourself unique vs the rest! So here are the top 5 reasons to learn a language for a management consultant! Tired of projects in your country? Pick up Spanish to get to work in Latin America – Argentina, Peru, or the Caribbean! Or pick up French and get your HR managers to find you a project in France! Once you pick up a language your chances of getting hired for an international project increase tremendously. Become a ‘passion-fruit-with-a-lemon-grass-zing’ vs. your countless ‘vanilla’ peers. Consultants with multi-lingual capabilities have an upper hand in choosing projects even within your office – since a lot of times clients have international representation on their teams. If a French conglomerate is visiting, they love to talk in French and if it is Chinese, you don’t really have a choice, but to know Mandarin! We all have to master the small talk! Remember those client dinners and pre-board meeting chit-chats? What if you could discuss ‘Don Quixote‘ with ease with a Spanish client! Plan a travel to the country you learned the language for and immerse yourself. Trust me the most interesting conversations strike when you and the clients have happened to hiked the same mountain in the past or have backpacked the same countryside! If you pick up a new language, you can talk to fellow consultants from other offices who are visiting or if you see them on any international training programs! In addition, you can find a better connect with a client counter-part if he/she speaks that language. Knowing a new language will open doors to new ways of life, perspectives and business practices. Immerse in them. Embrace them. And you will feel richer. Backpack around western India or hike up Macchu Picchu. Sample the experiences the world has to offer! CultureAlley.com is like Khan Academy for language learning. Besides extremely structured logical lessons, CultureAlley also has a language tutoring service via Skype. Created specifically for busy professionals, CultureAlley provides one-on-one tutoring with expert language tutors. The tutors teach from their own country and are therefore completely authentic in terms of their accent, conversation style etc. The time slots are chosen to match the learner’s busy calendar. Interested? Fill up this short request form now! How to survive as a vegetarian in China! 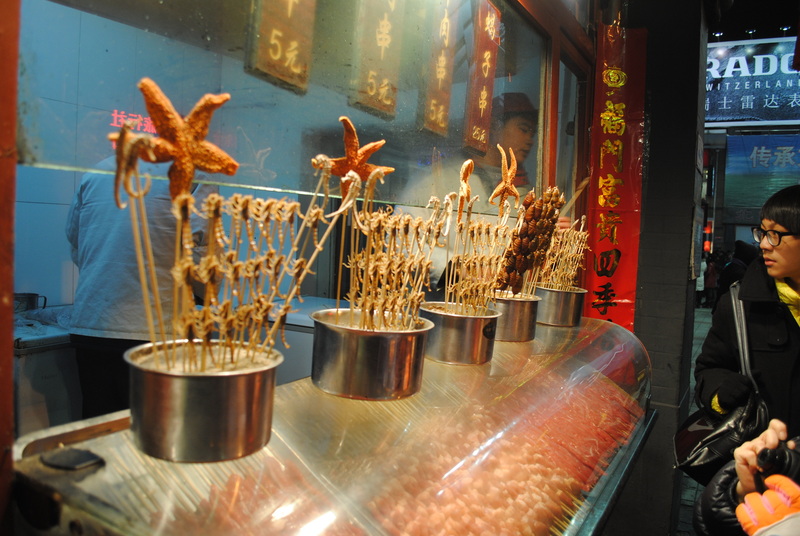 There is no denying the fact that China is a culinary paradise! But, the Chinese love their meat, and almost every dish would have some meat – limiting the options for a vegetarian like me. Being a food lover, there was no way I was going back without trying out some local food. 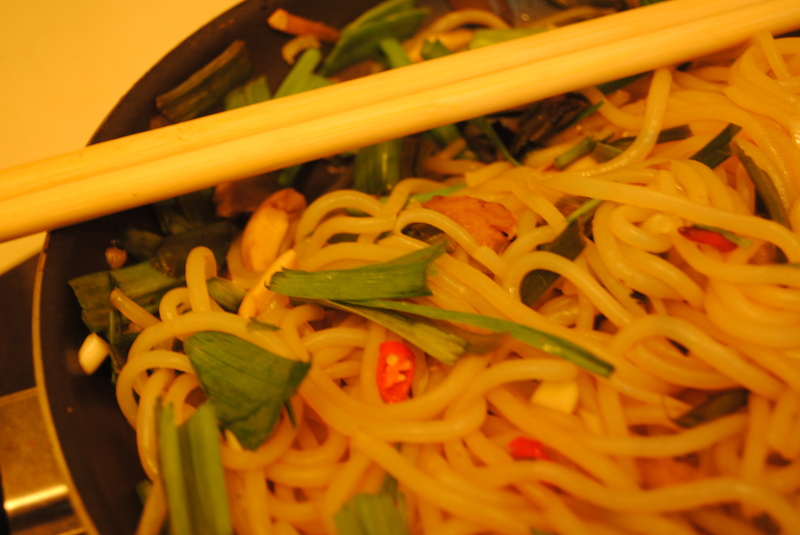 I learned how to survive as a vegetarian in China, yet sample the local cuisine, and more importantly, not go hungry! Even dishes which may not say ‘meat’ on the face may be cooked in chicken broth or contain minced meat or have fish sauce in them. So, here are some ways by which I got my way around and loved it! Say more than just ‘vegetarian’ (Sù) – At the cost of going over-board, describe what exactly can you eat, and what you cannot. Remember that tones are important while saying these words. The underlined words can be found in our talking dictionary for pronunciation reference. Although a rare sight, there are some vegetarian restaurants in almost all major cities in China. If you are traveling or living in China, then restricting yourself to vegetarian restaurants may be limiting – specially if you have friends who aren’t vegetarians. Mushroom (Mógu) gravies and mushroom soups – some of the wild mushroom dishes are delicious and highly recommended! Vegetable side dishes – Chinese culture is a lot about sharing food. There are a lot of side dishes which will be made up of purely vegetables. So order a couple of side dishes and you’d have a hearty meal! Some of the eggplant (qiézi) dishes are quite nice! 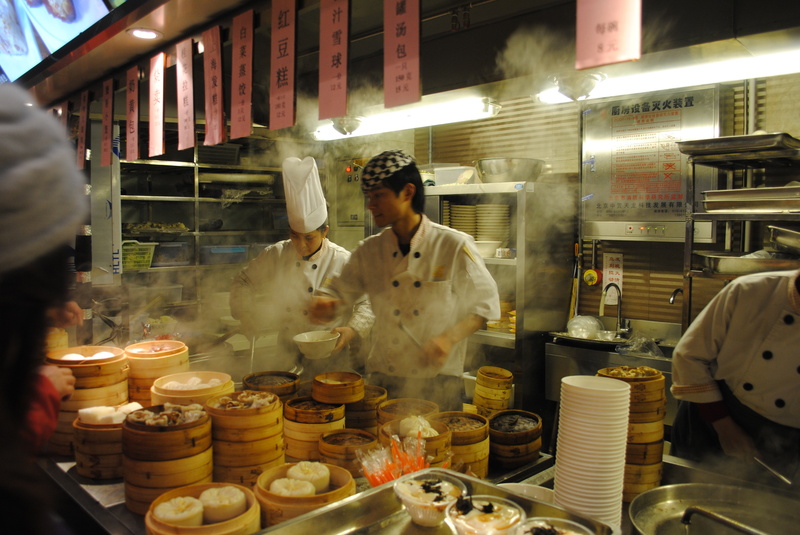 Breads and buns (Miànbāo and Bāozi) – as a last resort only! Make sure you double check before you order and before you start eating: Does it have meat in it? = Yǒu ròu ma? You could also ask them to make a version without meat: Kěyǐ zuò méiyǒu ròu de ma? = You can do without meat? Tea – although not a filler, the variety of tea you’d get in and around China is amazing! They are healthy, delicious and certainly vegetarian Try the flower tea and the ones with Goji berries! If you have the means then I’d highly recommend taking inspiration from the local cuisine and trying out vegetarian versions in your own kitchen! The last thing I’d say is – don’t let your personal food preference become a barrier in your experience or your interaction with the locals! Have an easy going attitude and be tolerant of their food choices – just learn to get your way around to have your preferences met! Experiencing China and Chinese food is worth every cent – do not miss out on it! According to industry sources, the Philippines expects to boost its revenues from call centers to nearly $15 billion by 2016. The Philippines was formerly a Spanish colony. However, not many Filipinos speak the colloquial language Spanish today. But the ones who do, are fast realizing that it enables them to secure higher wages in the outsourcing industry! The call centers in the Philippines have been expanding their market from being predominantly English-speaking to other languages – with a big focus on Spanish. The governments of Spain and the Philippines have teamed up to establish crash language courses which could make the Philippines a leader in the growing call-center industry. A Google search on ‘Philippines Spanish Call Centers’ today, will yield numerous results with job openings in some of the biggest call centers in the Philippines. The aim is also to serve the growing Hispanic market in the USA, and in Latin America. These constitute several millions of Spanish-speaking people growing at a much faster rate than any other demographic with a purchasing power estimated at around $1.5 trillion by 2015 (Nielsen Report). Given the size, the call center opportunities for serving this market are tremendous – and being bi-lingual (English and Spanish) pays a premium. A vanguard of Filipinos are discovering that they can earn double, even triple, the amount that their counterparts receive if they can trill phrases like “¿Puede darme su número de tarjeta?” = Can you give me your card number? On-line job ads are popping up as companies like Stream Global Services, Convergys, Sutherland Global Services and Sykes Asia, Inc. have figured that assembling teams of bilingual English/Spanish-speakers would be a worthwhile experiment. Clearly, knowing Spanish is a big plus for call center employees looking to secure higher wages in the Philippines! Learn foreign languages with music! In our recent blog post on ‘How to learn a new language’ we emphasized on embracing the new language and making it flow with your life. Our Spanish coaches also recommend finding something you love about the new language and surrounding yourself with it! Today we talk about one such universal love – Music, and how it can enrich your language learning experience! There are several occasions when we end up humming and memorizing songs even though we don’t know the language! Now imagine if you could see the transliteration in your language while you sing along! Of-course grammar and conversational context is a must and important, but language learning can be enhanced if some singing and music based practice is incorporated in your learning schedule. In one test, carried out by researchers at Edinburgh University’s Reid School of Music, those who learned by singing were able to recall phrases with greater accuracy in the longer term. Pronunciation: Music can help you get a better hang of the new accent and pronunciation peculiarities. While learning with music, you listen first and speak later. Vocabulary: Learning the lyrics of a song helps you expand your vocabulary. Music aids memory and recall. Words and phrases that you hear in a song tend to stick around much longer. Songs also introduce you to some streetwise phrases! Grammar: Music does not directly teach you grammar but can give you contextual information on usage of words and phrases. For example: ‘Para bailar La Bamba’ translates as ‘In order to dance La Bamba’. Next time when you get confused on whether you use ‘por’ or ‘para’ – this will help! With music, you subconsciously learn the right way to construct sentences. Culture: Music is a great window into the new culture! It will also be a great ice-breaker while talking to natives! Its fun! Music activates your senses and gets you grooving – picking up some language while you groove is a big bonus! Don’t just let the music fade away in the background. Pay attention to the lyrics and phrases – make a list of some of the new words you hear. Sing-aloud – Listen first and then sing along. This will help you with your accent and will also expand your vocabulary. Try and get the transliteration of the lyrics to help you understand the meaning of the new words and phrases. http://culturealley.com/SpanishKaraoke.jsp – Sing-along with the Spanish lyrics, check the English transliteration, and hover to review important grammar tips. Learn Spanish while you groove to the classic ‘La Bamba’! Many more hits coming up soon! Get grooving at the Alley!